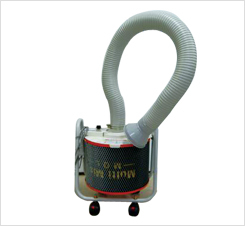 CO2 laser marking machine is a carver for non-metal materials. 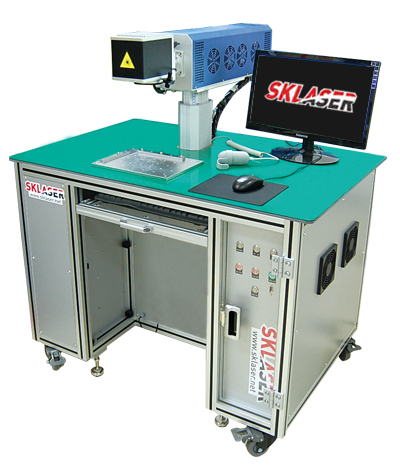 It is a laser marking machine suitable for wood, paper and leather.CO2 radio-frequency laser from US is a type of a gas laser whose laser wavelength is 1060nm of intermediate frequency infrared ray. 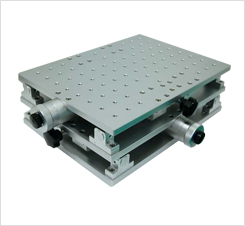 It is powerful and has great electrooptics conversion efficiency. • Provides tutorial videos, manual and official WIN7. ※ Dimensions above are standard model dimensions. 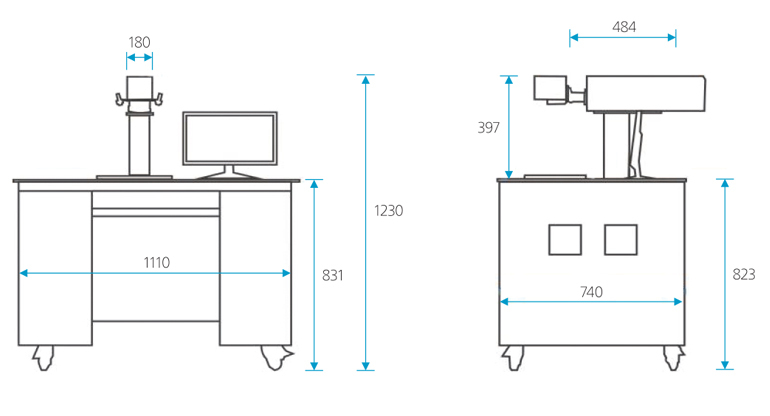 Customized dimensions are available upon customer’s requests. Art works, craft works, furniture, clothes, advertising labels, food packaging, electronic parts, drug packaging, machine plate manufacturing, etc. Bamboo, wood, paper, fabric, leather, glass, epoxy resin, acryl, polyester resin, etc.